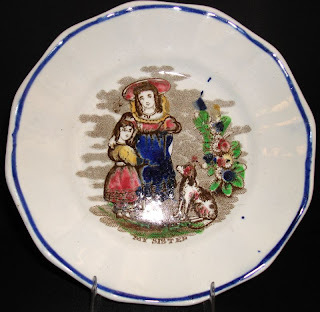 My sister Janet gave me a ceramic plaque that says: "Sisters share the longest journey: life." The saying is corny, but true. 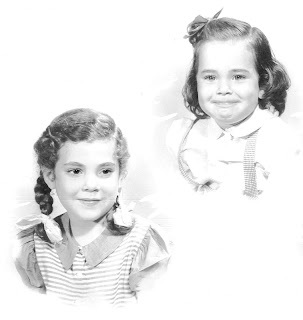 My little sister and I have been journeying together since March 30, 1947. I wasn't happy sharing my home or my (never our!) mother with Janet when we were little, but that changed when we were in our late teens. Our youthful sisterly bond (sometimes too tight) blossomed into friendship as we matured. Added to the sharing of similar interests such as books, boys, antiques and more, was the strength of family roots. 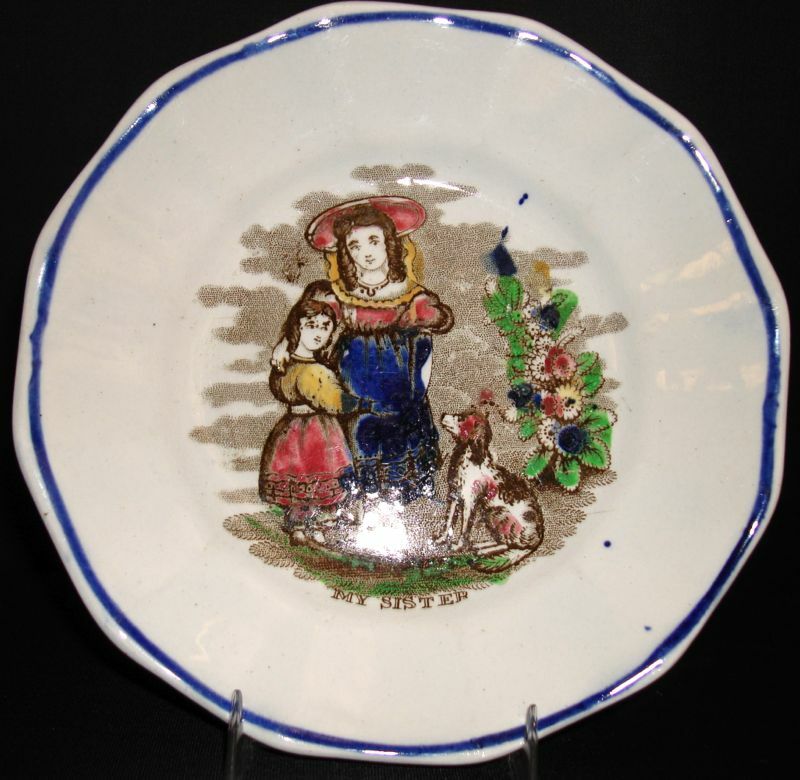 The transferware connection is a plate made for a 19th century child titled "My Sister." The older sister has her arm around her little sister. A dog, symbol of fidelity, sits at their feet. The pattern is as corny as the plaque my sister gave me. Corny is good. The love is strong. Terrific Post, love the photo! I like this. There's nothing I wouldn't give my sister.